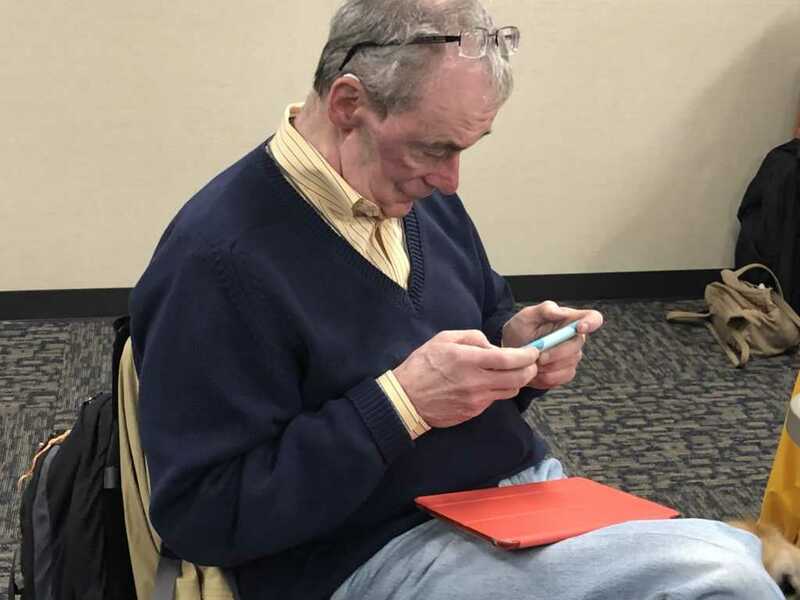 The basics of Apple IPhones, IPads, and IPods were the subject of a joint workshop between Rhode Island Services for the Blind and Visually Impaired (SBVI) and INSIGHT on Monday, April 8. 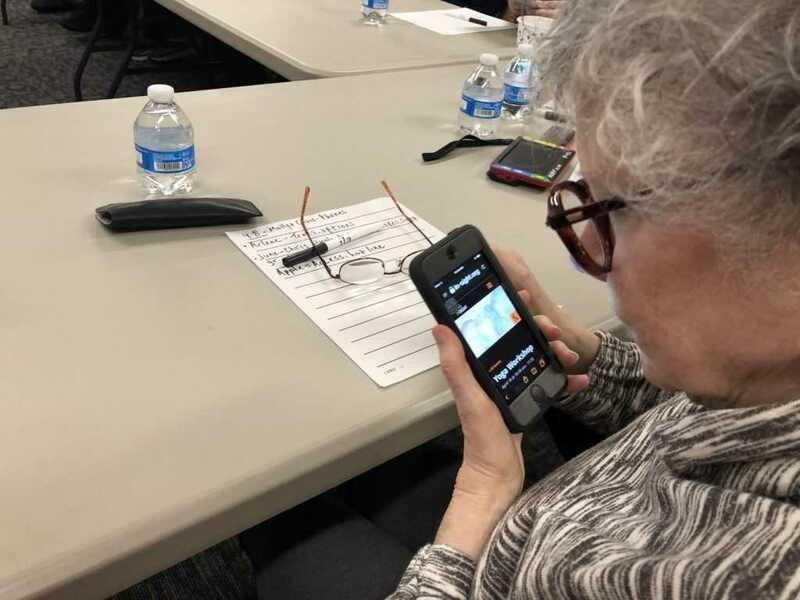 SBVI staff member Molly Faerber walked about two dozen people who are blind and visually impaired through the various accessibility features that are available on all IOS devices. 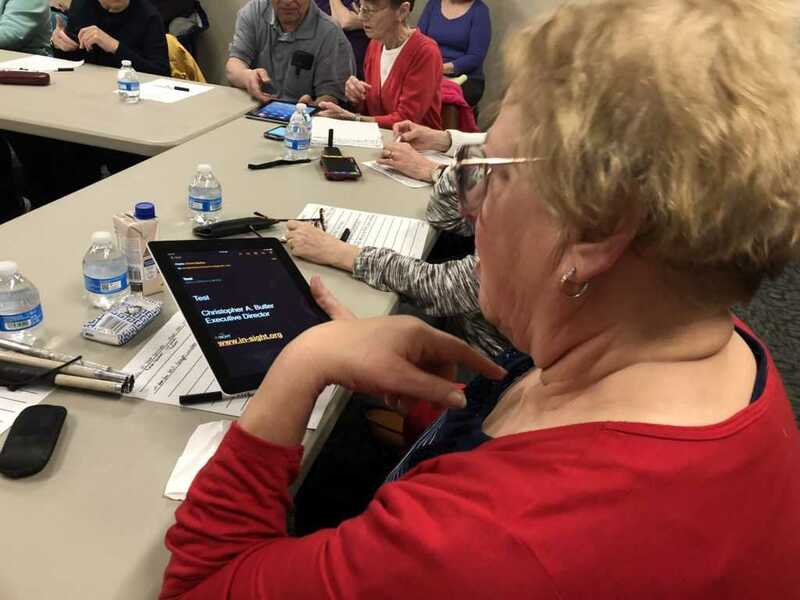 Using zoom, voice over, larger text, and other settings, Molly explained that with some practice anyone is able to use the devices no matter the level of their vision. 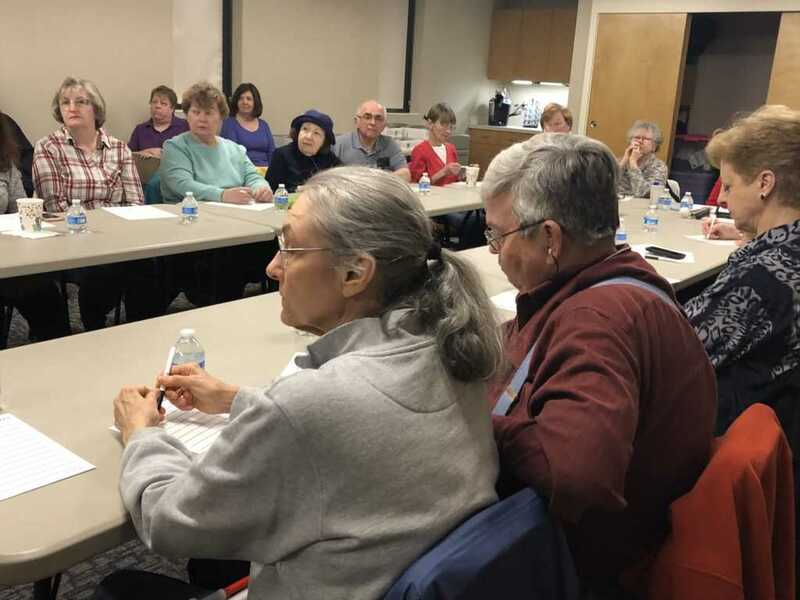 Molly pointed out that folks should go through an evaluation of their needs before investing in any kind of technology, especially given its cost. “If you are simply looking for a device that makes phone calls, I would not recommend spending $1,000 for a brand new super deluxe IPhone,” she said. The group was also made aware that IOS devices come in a variety of sizes, differing amounts of memory, and the ability to connect just to WiFi or through cellular data as well. A change in any of those variables will have an effect on the final price, so figuring out what you need, and what you may never use, is important in determining what is right for you. 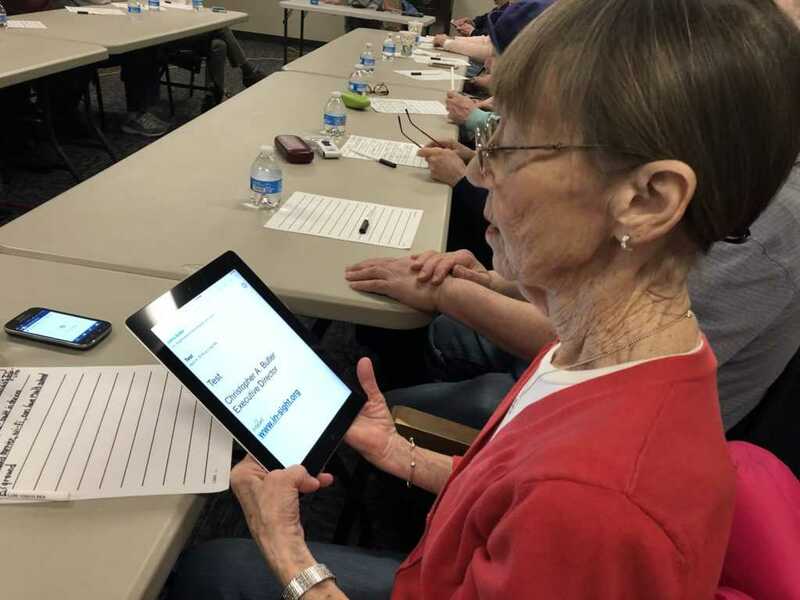 Molly suggested that folks living with vision loss who may be considering investing in a device should book a free consultation with her through SBVI or with Carla through INSIGHT. 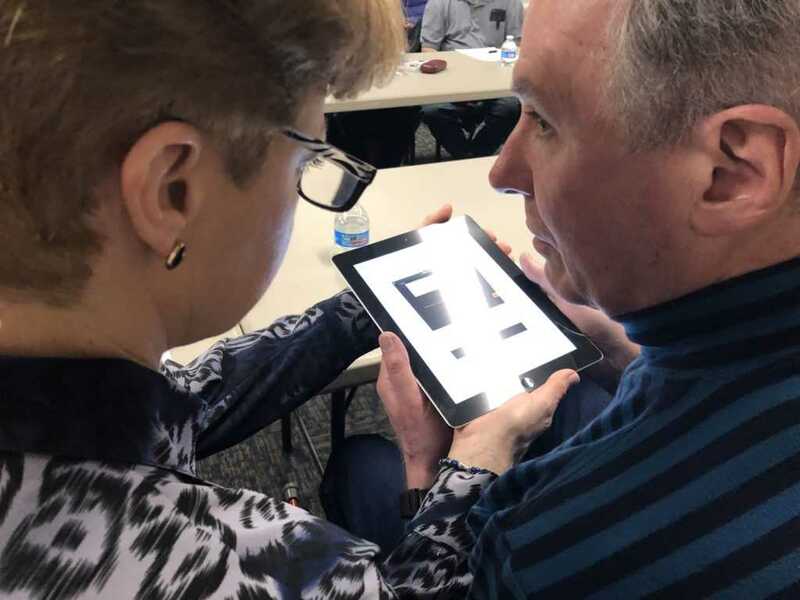 Both of them are available to meet with folks to walk through an assessment of needs to determine what, if any, device might be the best one for an individual client.